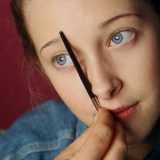 Check Brows: Before starting your eye shadow application make sure your brows are in perfect condition. Extend, shape, & define brows to frame the eyes if needed. Mode Dion Perfect Brow Pencils make it easy. See Brow Steps for more details. Note: Foundation goes on after eye shadow application. This allows for clean up after the application so under eyes stay fresh. Begin by setting lid with oil-free loose face powder. Shadow will go on smooth and won’t blotch or crease. 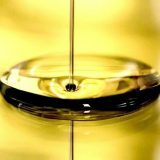 If you have imperfections to cover use the oil-free foundation not a concealer as those have too much oil and will crease after time. Now it’s time to apply the first color of your eye shadow. The 5 Color Pro Pallet had two colors for Defining. This provides versatility as these shadows last a long time and can create not only many looks but can be used wet or dry as your cake liner. The two colors are Define 1 the Brown warm shade and Define 2 the Burgundy cool shade. These two colors are not used together. In the following steps we will show Define 1. Whether you choose the Brown or Burgundy both are applied the same way. 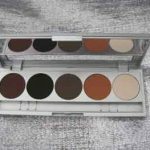 Using Mode Dion Pro Pallet Eye shadow Compact, Define eyes with the brown (Define 1) or burgundy (Define 2) matte shadow in outer eye corner blend slightly up above the crease and ½ way across just below eye bone. 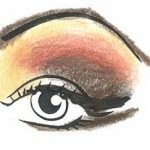 Balance eyes with the warm peach tone matte shadow above eye crease across eye bone. Blend across eye bone from outer edge of brows to where brows begin. Keep this color away from below the eye brow and the eye lid. This color is for balancing the face from the eyes to the cheeks to the lips. Highlight eyes with matte cream shadow under brows & across inner eyelid. 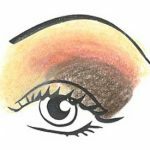 Line 1/2 way across lower lashes with brown or burgundy eye shadow (Whatever was used to define) using an Eye Liner Brush. Begin by wetting the tip of your brush with water or Eye Liner Sealer. 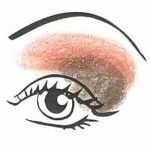 Stir brush tip into eye shadow shade then line ½ way across lower lash line extending slightly at outer corner. For upper lid lash line apply black shadow wet ½ way across lid extending up to eye crease at outer corner. Do not meet these lines. Keep eyes open using White Eye pencil in between the two lines and on lower lid eye ridge. For beginners it can help to practice using your liner brush with shadow not made wet yet. This is called a dry run. Lining Tips: Try Eyeliner Sealer to keep your lines from running. 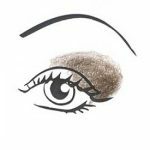 Just dip the tip of your eye liner brush, tap off the excess onto a tissue or the back of your hand, stir into eye shadow until creamy. Be sure to test the color on the back of your hand to make sure line is creamy not runny or dry. Create POP to features with Shimmer Pots: Apply to center of eyelid, brow arch, inner eye corner and cheekbones. Clean up under eye shadow mess from application using our soothing Makeup Removing Cucumber Wipes. Apply Mascara onto lower lashes first then into upper lash roots working mascara wand from side to side from roots to lash tips. 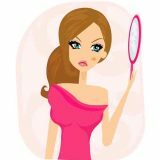 If applying False Lashes and Glue be sure to do so before Mascara. After False Lashes are applied work the mascara into the False Lashes to weave your natural lashes into the fake ones. This creates a natural look. For information on False Lash Application see tutorial. Next step Foundation, Concealer and Powder to even out skin tone for a polished face. 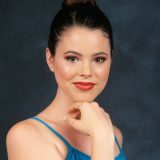 For details see tutorial on Foundation Steps for flawless skin. 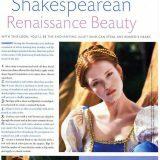 Discover everything you need to know about PROFESSIONAL BEAUTY and more in Christine Dion’s book “HIGH PERFORMANCE BEAUTY”. Christine Dion’s must have book for anyone in the public eye RISING STAR Skills To Empower And Achieve. Available in Kindle on Amazon.com.